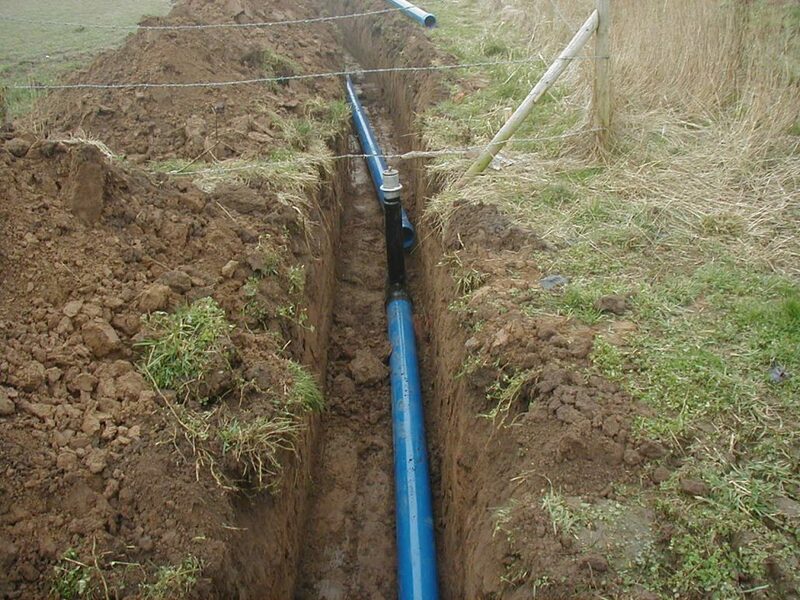 We have provided numerous agricultural projects with thousands of metres of underground Pvc mains since our formation in 1994 and feel we can offer not only very competitive prices for pipework and fittings but our experienced team of engineers can provide an efficient, professional and reliable installation. We provide a full range of metric and imperial (if required) Pvc tube to suit all applications, with mechanical joints (ring seal) in standard six metre lengths. A full range of fittings, VJ couplings, inline and end of line steel hydrants with Wright Rain compatible tops are also available. 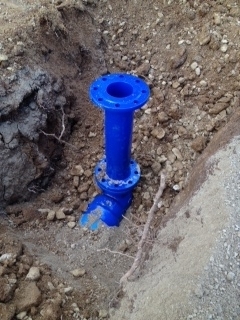 Our steel hydrants come complete with mechanical joints which gives the advantage of easy installation with no requirement for VJ couplings to connect. Our system design team will evaluate each project individually and size pipework and fittings according to the system requirements, whether for a new project or simply an extension of existing mains. 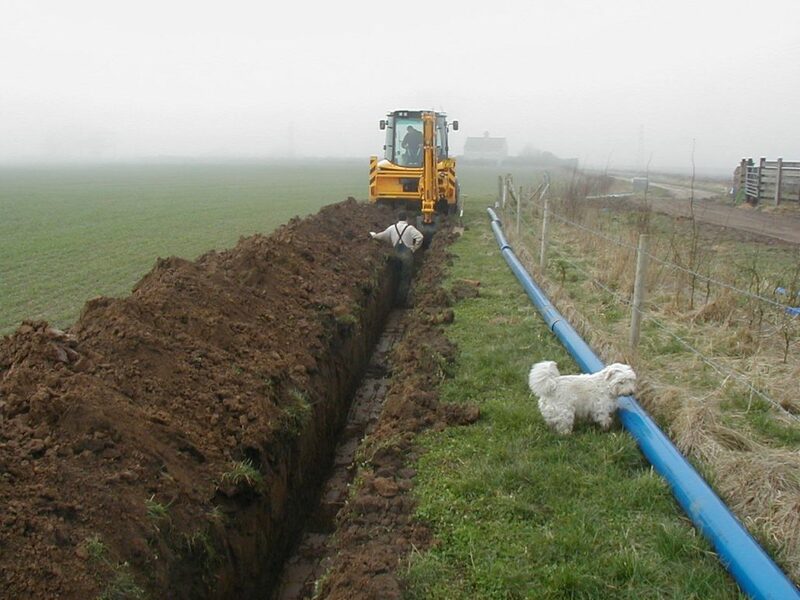 Our experienced team of engineers will undertake the installation of the underground mains with the excavation and backfilling of trenches with a mechanical digger. 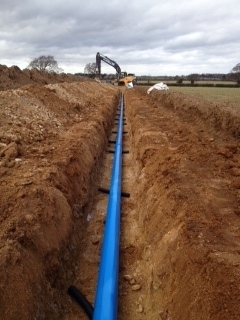 The pipework will be laid manually fitting bends, tees and hydrants with concrete thrust blocks. Hydrants can be installed with the Wright Rain top above ground or below ground within sectional concrete chambers with steel covers. What ever the project we will ensure that the installation runs smoothly with minimal disturbance.